Is it just me or does the fact that Trout will finally get his first MVP in the season that has been the "worst" of his three in his young career? Of course, those epic Trout-Miguel Cabrera debates are still going on in some circles (count me on Trout's side both years) but now with Cabrera not even having the best record on his own team this year, Trout will finally stand alone. This is by far the toughest award in my humble opinion because you can make a strong case for Kluber and Felix Hernandez and their respective numbers are pretty close with Hernandez having noticeable edges in ERA (2.34 to 2.44) and WHIP (0.936 to 1.095) while Kluber has an edge in strikeouts-per-nine (10.3 to 9.4) and FIP (2.35 to 2.61). To me, the difference is how these pitchers, both on playoff contenders, performed down the stretch as Hernandez had a 2.71 ERA after the All-Star break while Kluber has been at 1.73. The slightest of edges to Kluber. The Abreu-Masahiro Tanaka debate was going to be a fun one down the stretch had Tanaka stayed healthy but alas, he did not. Even with a deep rookie field in the Junior Circuit, Abreu is going to win this award and a sensational bat is the reason why. His bat is also why he may find himself somewhat high on some MVP ballots. Using generic logic often seen for this award, Ned Yost would get the award for taking the Royals to their first postseason appearance since the 1985 World Series. But anybody who watches the Royals can tell you that Yost has his fair share of managerial miscues, to the point where someone could say his team has won in spite of him. I like Showalter for this award after he guided a team without Chris Davis, Manny Machado and Matt Wieters to at least 95 wins and looking like a legitimate World Series contender. Why can't Kershaw, or any pitcher, be the MVP of his respective league? Sure, he only pitches every fifth day (although he really has influence over more days than that) but Kershaw has seen more batters this season (749) than the leader in plate appearances, Ian Kinsler, has (676). And can anyone really deny that even in a season with an abbreviated start that Kershaw has been the best player in the National League this season? If a pitcher is going to win the MVP, you can be damn sure that he is going to win the Cy Young. Of course, they may as well reserve this award for the Texan going forward if he continues to pitch like he has these past several years. 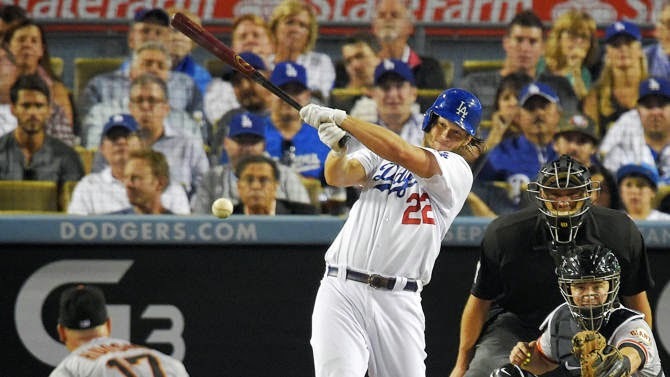 Kershaw has had an historic season for a lefty and he is going to rewarded as such this fall. The field for the NL ROTY is not nearly as strong as it is on the AL side but DeGrom has come out of nowhere to be a really good rotation fixture for the Metropolitans. He has only done it in 22 starts after being called up in mid-May and there hasn't been a rookie pitcher to win this award with less than 25 starts since 1954 but with a weak field after Billy Hamilton hit the rookie wall down the stretch, DeGrom will be the victor. Bochy seems to always know how to push the right buttons for this Giants club when the calendar is in an even year, and for his ballclub to give the Dodgers all they could handle in the NL West despite a ton of roster upheaval due to injuries and ineffective performance. Plus, he has done in with a rotation that isn't all that close to the norm for his Giants clubs.